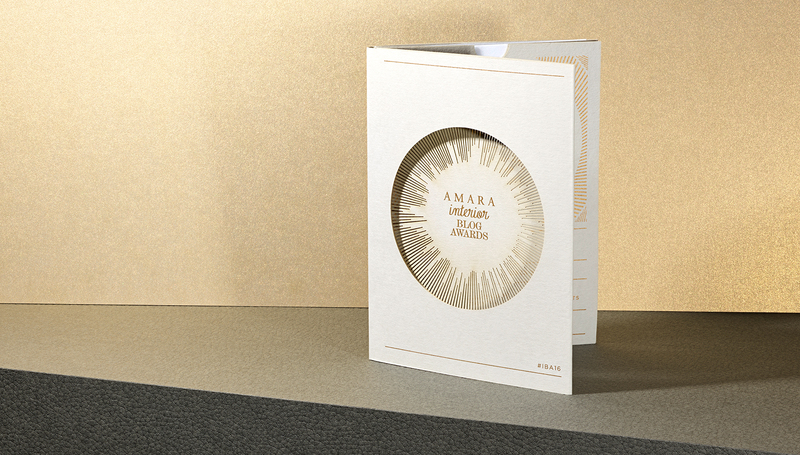 The Amara Interior blog awards are recognising excellence in not only blogging but design and presentation. 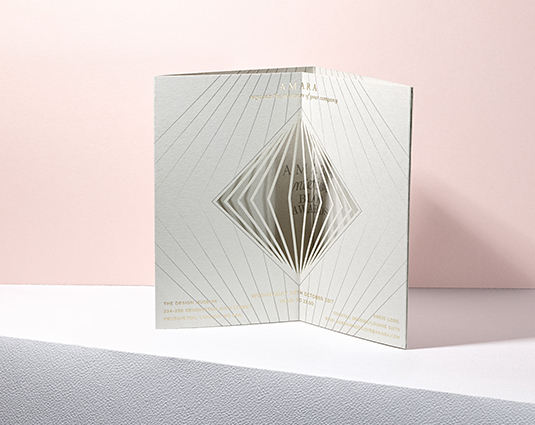 Every year the awards must reflect both the brand and the Interior design element of the awards. 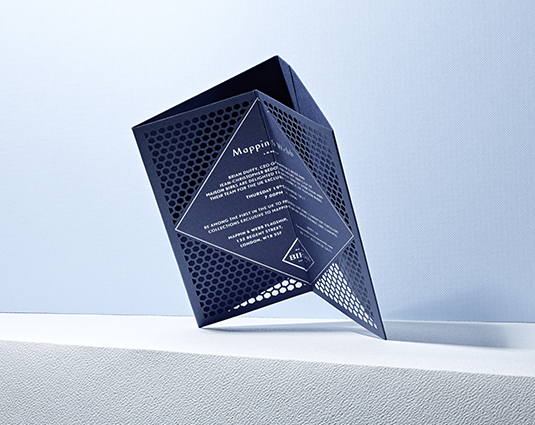 To have been asked to design the invitation, information leaflet and awards themselves for a second year was an honour. 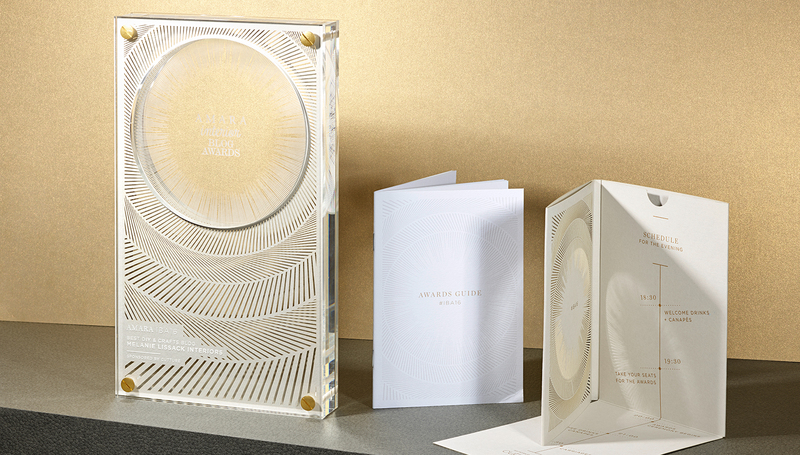 We refreshed the design from the previous year, but keeping the same format for the awards themselves, polished chunky acrylic with laser cut detailing in paper sandwiched in between. 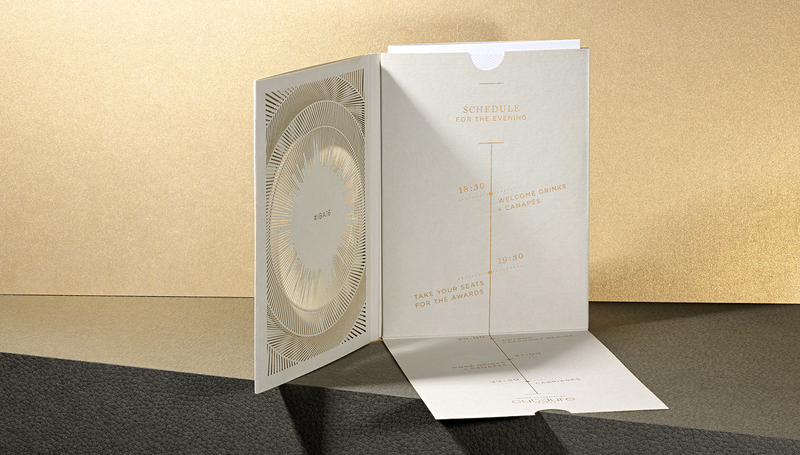 The invitations were a beautiful folded booklet, silk screen printed itinerary with laser cut signature AIBA pattern. 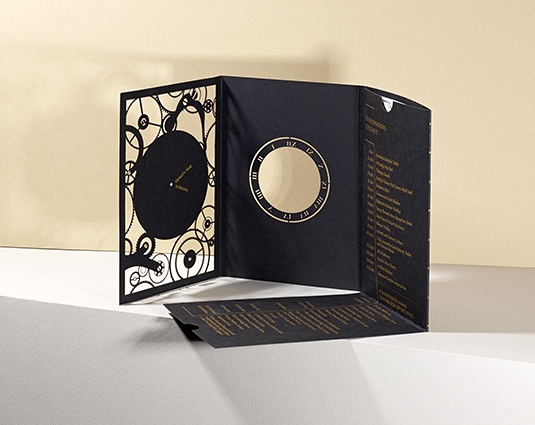 Once opened you reveal a wallet to contain the information booklet about the awards and evening.